April 8, 2014 — The Butterfield Overland Mail Co. operated a stage station from 1858 to 1861 near the San Sebastian Indian Reservation, on the north side of what became the 270,000-acre Tejon Ranch. Icon indicates the location of the marker. Other end of thick gray line is the station site. ID courtesy of Kirby Sanders. Click to enlarge. Located in the southern San Joaquin Valley near the east end of the current David Road, south of Comanche Point (the northwestern-most elevation of the Tejon Hills), the station was called the Sinks (or Sink) of Tejon because that's where, during the dry season, the water of Tejon Creek sinks into the ground as it flows toward Kern Lake. The Sinks of Tejon Station is California Historical Landmark No. 540. The marker is located at the southwest corner of David Road and Wheeler Ridge Road, 6 miles west of the actual site of the station, which no longer exists. According to Ridge Route historian Bonnie Ketterl Kane ("A View from the Ridge Route, Vol. 2: The Fort Tejon Era," 2002:139), the short-lived Sinks of Tejon station was "moved closer to Grapevine Canyon (where it) became known as Hamilton Station, as a William Hamilton ran the facility. Mr. Hamilton also had a store in the village of Tejon. The stop was important as it was needed for the change of horses just before or after the climb or descent of Grapevine Canyon." Six miles east of this point was the site of the Butterfield stage line station called Sinks of Tejon, operating through present Kern County during 1858-1861. This famous line ran from St. Louis, Missouri, to San Francisco until the outbreak of the Civil War. 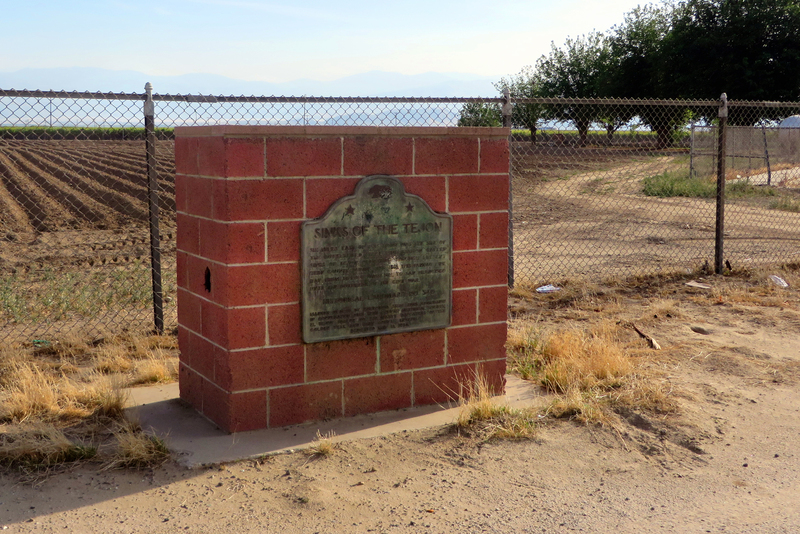 Marker placed by California State Park Commission in cooperation with Kern County Historical Society, El Tejon Parlor No. 239, Native Daughters of the Golden West, and Kern County Museum. 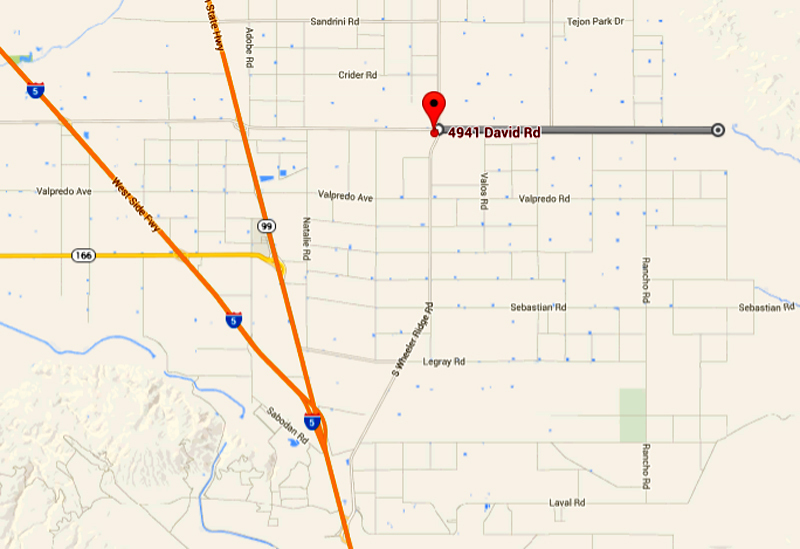 The station was located at the east end of David Road (at bottom of map). Click image to enlarge. LW2600d: 19200 dpi jpeg from digital image by Leon Worden.